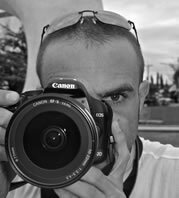 Photography Course Phuket – Since 2010 Adriano Trapani is now also offering a land based photography courses in Phuket, Thailand. Whether you own a small digital compact camera or a digital SLR, you will benefit from this course. Not only will you improve your photography and post editing skills but we will also show you the best photographic hot spots in Phuket! 9:00 – Pick up with private a/c minivan. 14:00-17:00 – Photos on location. You will be picked up at your hotel and brought to our photography course HQ, where you will be given your assignment brief for the day’s course. This is followed by a slide show of Adriano’s work and you will be taught some fundamental photographic composition rules. After, you will get a chance to explore some great photography haunts around southern Phuket. Then, it is back to the meeting point for the post editing workshop, debrief and show your results. Also get tips and advice on photo editing software, cameras and accessories!!!! Included: private photography tutoring by our professional photographer and tour guide, private transportation in a/c minivan, water and soft drinks on board, set menu lunch, tax, insurance. Further improve your photography skills learnt in Day 1, and snap away at more of Phuket’s highlights. In Day 2 of you Photography courses, receive helpful advice on improving your photography before heading to some of the less known hotspots on the island, perfect for photography. Then it is back to Photography HQ to post edit, learning more image enhancing techniques and show off your work in the participant showcase. How to use your camera settings for different situations. What makes a good picture. Using simple photo editing software to enhance and edit your images. Our 3 day course gives you more opportunity to see and snap the best photographic highlights of Phuket as well as further developing your photographic eye, shooting and post editing skills. The photography points covered will mainly depend on individual needs, requirements and camera type. This will be discussed in the morning class session on Day 1 and the course structure set accordingly. Each day will start with a morning brief at Photography HQ followed by a tour to Phuket’s photo haunts or one of it’s many events [link]. Then it’s back to HQ for photo editing and assessment, where constructive critique and discussions will increase your understanding of your work and you can truly start to develop your own photographic style. Camera settings; using the pre-stored and manual settings. The art of composition, including framing, movement and lighting. Learn how to use various dedicated photo editing software. All of our courses can be tailor made to suit your needs and interests. With so many fantastic photo opportunities available in Phuket, there is something for every photographer. Don’t let the rain or bad weather stop the photographer in you. Let Adriano show you some fun techniques, using everyday items at home and photo editing software skills to create stunning abstract and creative photographic results, you can achieve on those rainy days in. Included: private tutoring by our professional photographer and software editor, private transportation in a/c minivan, water and soft drinks on board, set menu lunch, tax, insurance. If you interested in one of the courses than please contact us now!